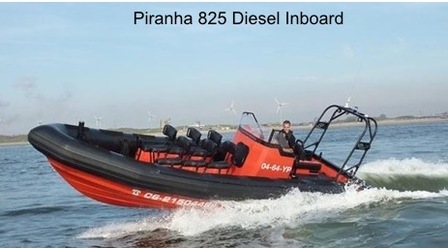 Rib Charter is a great way to make money, especially if you have a boat like the Piranha 825, as you can see from the photos you can have a range of colours and engine combinations. 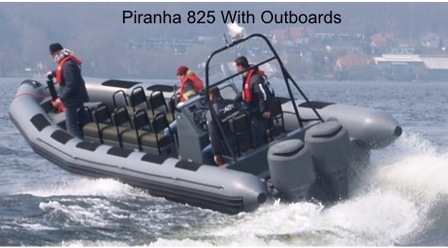 The 825 has great sea keeping capabilities and is a very safe, stable and proven hull. Whatever your role may be we can even help design the ideal solution to suit your needs. And with the increase in the Renewable Energy market our cabin ribs are the ideal solution for some companies. Please contact us for more information via the telephone numbers below.